Like millions across the UK waking up on the 24th of June 2016 I was hopeful that leaving the EU would mean the UK finding its own way in a world of all 7 billion people not just the 510,056,011 in the EU. However, Theresa May's disastrous election result has left her far from the strong and stable position she wanted and needed, meaning that the possibility of the UK getting such a deal has diminished greatly. Although many people had hoped that the UK would be able to leave the EU with an amicable deal, which would allow the UK, and the EU to trade with each other freely while allowing the UK to be free to also trade with the rest of the world. I now believe that the only change will be that the UK will no longer be a member of the EU but still having to obey the rulings and Regulations of the European Union. This was the situation both Brexit and remain campaigners didn’t wish to happen, a situation where the UK still has to pay in, obey the EU, have restrictions on trading outside the EU but not have a seat at the table from which we can influence the decisions which affect us. The Prime Minister’s failure to achieve an overall majority was not necessarily the result of her stance on Brexit but her failure to do so has undoubtedly affected the government negotiating position with The Prime Minister already ceding defeat by allowing EU citizens to stay in the UK with no questions asked. 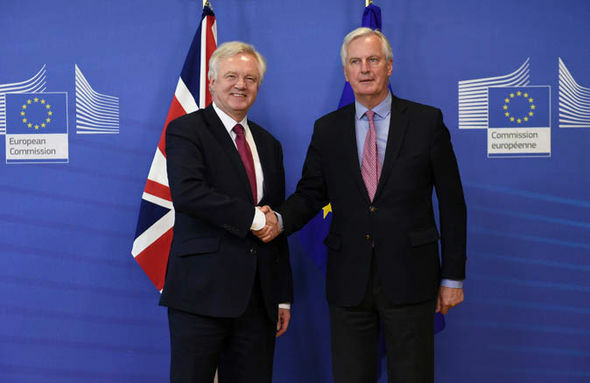 This was just the first hurdle on the long Steeplechase of Brexit negotiations, capitulation to the demands of the EU for this matter doesn’t put the negotiating team in a strong position to negotiate the ‘divorce bill’. The EU’s response to the Prime Minister allowing EU citizens to stay was that her offer didn’t go far enough with Jean-Claude Juncker saying the offer was “not sufficient”, further evidence that the UK is lacking when it comes to negotiating ability, the ability which allowed us to maintain an empire that covered one-third of the world but has been lost over 40 years of EU membership. Because of this, I believe that the UK will not be able to get the deal that will allow us to be prosperous while being able to trade with the EU and the rest of the world. The UK’s inexperience with negotiating with the EU and the government's weak position has meant that we will have no choice but to accept the EU’s demands, potentially leaving us in a worse position than we were in before. Whatever hope there was for an amicable deal with the EU has now vanished, it evaporated as soon as the Prime minister called a General Election. The only thing that could make our position worse is for the Prime Minister to resign. The one thing that we do know will happen, according to Conservative MP Jacob Rees-Mogg, is that the UK will be leaving the EU. How we leave and what happens after our departure depends on the strength and determination of our negotiating team. Thomas Dray is the founder of Politukal Politics and Politukal Elections.